It’s not really surprising that anxiety is one of the most common reasons people come to counselling. Anxiety and stress are ever-increasing problems in our modern world of multi-tasking, to-do lists and the constant juggle of the work/life balance. We’re simply not designed to do so many things at once. Your breath is one of your greatest allies when it comes to combating anxiety and stress. Next time you feel anxious, check out how you are breathing. Are you taking fast, shallow breaths? Start to breathe a little deeper, and a little slower. Follow the breath as it travels through your body. Imagine it flowing right down to your abdominal area. Notice the movement of your body as it makes any small adjustments, letting the air in and out in a steady pattern of inhalation and exhalation. Imagine yourself inhaling a calm, relaxing energy. Visualise it as a certain colour if that helps. Play around with the image to strengthen those feelings of relaxation that you are taking in. You can do this exercise anywhere – whether you are sitting in the car feeling stressed and trapped in a traffic jam, or in a long queue at the bank growing more annoyed as the minutes tick by. See that time as a gift for you to practice your new technique, rather than a frustrating waste of time. Relax your body and your mind will follow. The mind and body are intricately connected, and our posture often reflects how we are feeling. By becoming aware of when our body is reacting negatively to our emotions, we can take steps to change this. A relaxed body leads to a relaxed mind (and vice versa). Begin with the breathing technique you learned earlier. Now direct this relaxing breath into each part of your body that has been affected by these feelings of anxiety. If the shoulders are tense, just let that feeling go. Physically release it and let the shoulders drop down. If your stomach feels nervous and constricted, just send that breath deep down into the abdomen again and breathe out that tension. Relax your hands and loosen your fingers. Shake them out if necessary. If you are hunched or bent forward, straighten your spine and stand (or sit) tall. Send your body signals that you are now feeling relaxed and confident. You may start off by simply ‘pretending’, but it’s amazing how quickly it starts to happen for real. Regular exercise is an excellent way to bring your levels of anxiety and stress right down. Exercising outdoors is even better, as it combines the calming qualities of nature, fresh air, and the stress-busting endorphins we produce when we move our bodies. If the thought of exercise fills you with dread, don’t worry, you don’t have to start training to run a marathon - it’s simply a case of finding the right kind of movement for you. A brisk daily walk in a natural environment can take you far away from all those daily pressures. Perhaps dancing is more your thing – put on your favourite upbeat music and ‘dance like nobody is watching’. If you prefer to exercise in a more social setting, there are plenty of exercise classes that can be fun and rewarding to join. Yoga is a particularly effective form of exercise when it comes to reducing anxiety, as it incorporates those healthy breathing patterns and reinforces the mind-body connection. The great thing about these three techniques is that they are easy, natural, and totally free. So what have you got to lose? Try them out - you may be amazed at how effective they are. Lisa Murphy is a Counsellor, Hypnotherapist, Yoga teacher and Reiki Master with a BSc in Health Science. 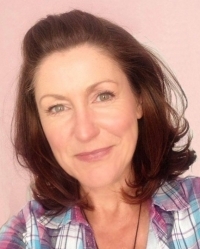 Lisa specialises in anxiety, weight-loss, self-esteem and healthy living. Reactions to staying focused: effective time-management Ah, anxiety!